What we consider our community is everywhere that we interact, do business, live, and connect. 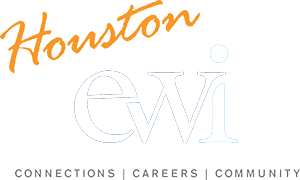 An important component to EWI is giving back to the community so that others may have the chance to succeed. As we build our community of member firms and representatives, we want to be building a network of support and awareness for the organization throughout our communities. To this end, community service is invaluable for both purposes: promoting healthy, strong, and sustainable communities; and promoting a robust, energetic, and relevant EWI for years to come. 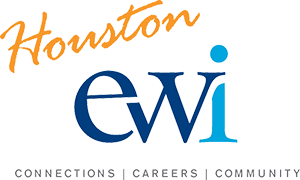 EWI of Houston was pleased to have one of our member firm executives read the book "Charlotte the Scientist is Squished" to 125 attentive second graders. After hearing the story, the students were treated to a variety of "Mad Scientist" experiments. As a final treat, each student took home a copy of our feature book and was able to select 6 books each for their personal library. Additionally reading teachers in the school were provided over $3,000 in reading and literacy supplies. Joining forces with Innovations for Learning, EWI became a Tutormate partner for Cook Elementary. Volunteers from our chapter were paired with an at-risk first grade student in Ms. Holmes' classroom. Connecting via internet from home or office, each volunteer spent 30 minutes per week with their student reading stories together or playing games to build the student's word knowledge.